On arrival at Christchurch Airport you collect your rental car for your exclusive use until the end of the tour package. You will then have time to explore this lovely city with its tranquil parks and open spaces. 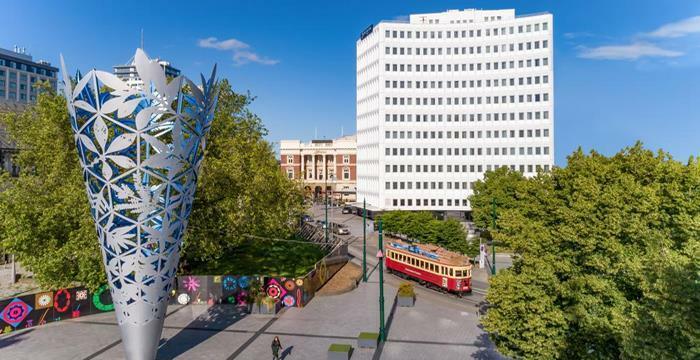 Christchurch is also a great place for shopping and the restaurants are first class. An early start as you follow Lake Wakatipu via Kingston arriving in Te Anau for a morning tea break. Follow the shores of Lake Te Anau before entering the Eglington Valley. Pass the mirror lakes and travel through the avenue of the disappearing mountain. The spectacular drive continues through the mountains, valley and forests of the Fiordland National Park, with a dramatic descent into Milford Sound. A fascinating launch cruise to Bowen Falls and Mitre Peak is included. A memorable trip today through some of the most magnificent scenery in New Zealand. Travel via Lake Wanaka and Lake Hawea and over the Haast Pass to the beech forests of Mt Aspiring National Park. The journey is around 350 miles but the views are so spectacular that you won't want it to end. At Franz Josef Glacier, your expert tour guide will take you on a Glacier Valley Walk alongside the mighty Waiho River bed following the glaciers path of retreat in this remarkable landscape. Here you will learn about the glacier's history. Near the terminal face, you will be rewarded with spectacular views of the rapidly changing terminal face of the glacier. After your tour, relax in the Glacier Hot Pools, a haven of natural tranquility, nestled in the lush rainforest. Travel north this morning up the wild, west coast. You may wish to make time to detour to Punakaiki Pancake Rocks and Blowholes where the surging sea has sculptured amazing shapes out of the rocks, before returning you rental car to the train depot in Greymouth. At Greymouth, board the scenic Tranz Alpine train, a journey famous for its spectacular mountain scenery as it traverses the Southern Alps to Christchurch. Your wonderful tour of the South Island comes to an end today where it began in Christchurch. A transfer to the airport is included for your onward flight or journey back to the UK, taking with you a lifetime of memories from Lord of the Rings country.